Cariant Health Partners has one of the best benefit packages in the industry. Our goal is to make sure you are well taken care of while you take care of your patients. Children to age 26 who are not eligible to enroll in an employer-sponsored health plan other than a group health plan of a parent. Medical coverage is available for you and your family. You may enroll in the Preferred Provider Organization (PPO) or High Deductible Health Plan (HDHP) medical plan through Blue Cross Blue Shield of Nebraska. These plans give you choices in your medical care. Dental coverage is available and includes preventive, restorative and orthodontia services. Vision coverage is available and includes savings on eye exams and eye wear. You are provided Basic Life and AD&D at no charge to you. The premiums are paid by Cariant Health Partners. Basic Life and AD&D benefits equal your annual salary up to $50,000, with a minimum of $10,000. Long-term disability insurance provides protection against the loss of your income in the event of a disability that prevents you from working and earning an income. Voluntary short-term disability is also available. If a covered illness or injury keeps you from working, short-term disability insurance can replace 60 percent of your income while you recover. This program allows you to purchase additional Supplemental Term Life insurance for you and your dependents and to pay for it through payroll deductions. The premiums for this coverage are based on age, smoker status, and amount of coverage desired. The advantage of purchasing Supplemental Term Life through Cariant Health Partners is you receive group rates for coverage, and you may continue at the same group rate if you terminate employment with us. This benefit is funded by pre-tax dollars through payroll deductions. It offers you tax-free advantages such as an increased spendable income. You choose how much you want to contribute each pay period and submit your expenses for reimbursement throughout the year. Eligible expenses are out-of-pocket expenses that are not covered under another health plan. The maximum amount you can contribute to a Medical Flexible Spending Account is $2,500 per year. A debit card will be provided to you. A Health Savings Account (HSA) is an individually owned, tax-free, interest-bearing savings account that is used to pay for qualified medical expenses either now or in the future. You must be covered under a qualified high deductible health plan (HDHP). You must be below Medicare eligibility age; and you cannot be covered under any other health plan. A debit card will be provided to you. This benefit is funded by pre-tax dollars through payroll deductions. It offers you tax-free advantages such as an increased spendable income. A qualifying dependent is anyone under age 13 who you claim as an exemption on your federal income tax return, or a mentally or physically disabled spouse, parent or other dependent (regardless of age) who lives with you. In general, any expenses that are eligible for dependent care credit on your federal income tax return are eligible for reimbursement. The maximum amount you can contribute to a Dependent Care Flexible Spending Account is $5,000 per year. These benefits are funded by pre-tax dollars. Local agents are available throughout the country for explanation and enrollment. Sick leave accrues from date of hire to a maximum of 80 hours. After the first 90 days of employment sick leave may be requested in .25 hour increments. A maximum of 40 hours may be used in one calendar year. 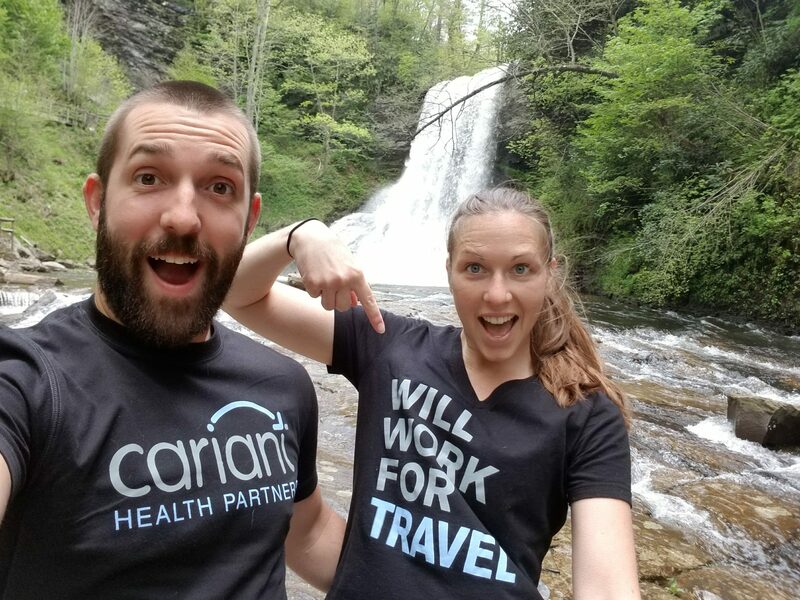 To recognize employee contributions and stability to Cariant by their loyalty and tenure, Cariant travelers who meet eligibility requirements will receive a retention compensation payout after each 2,000 hours worked (not including paid sick days, on call hours), up to $1,000. When you’re on assignment, you can take the monthly housing stipend and find your own housing and furniture, or our housing coordinator will set up your housing (Cariant pays deposits). Our housing typically includes a fully furnished one-bedroom apartment including housewares and all utilities. Phone and cable are excluded. As a Cariant Health Partners employee, you are covered under our workers compensation and professional liability insurance coverage. Know anyone who would enjoy traveling with Cariant? We pay up to $1,000 for referrals. Certain assignments have completion bonuses. Submit referrals here. Weekly pay is directly deposited into your bank account. Cariant Health Partners reimburses travelers the cost of licensure for any state where they take an assignment. There is no cap and we’ll assist you in the process. Costs for mileage to and from your assignment are reimbursable. We pay the current Federal IRS rate. Cariant Health Partners will reimburse up to $400 per calendar year for any CEU classes once eligibility requirements are met.